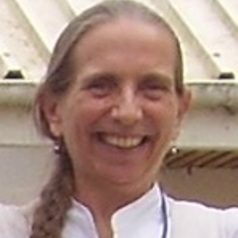 Janet Seeley is a social anthropologist by training. She is Professor of Anthropology and Health at the London School of Hygiene and Tropical Medicine, seconded to the MRC/UVRI Uganda Research Unit to lead the Social Science Programme, a post she has held since 2008. She held the same position from 1989-1993, when the Unit was set up. She has been actively engaged in research on the social aspects of health, particularly HIV and AIDS, since 1987, working in sub-Saharan Africa and Asia. Other current research interests include chronic poverty and social protection, internal migration, livelihoods and gender. She has undertaken extended periods of research/research capacity building in Kenya, Uganda, Zambia, India, Nepal, Bangladesh, Pakistan, and Papua New Guinea. In addition to heading the social science programme for the MRC/UVRI Unit, she is also working with the Africa Health Research Institute in KwaZulu-Natal, South Africa, building up the social science research capacity there.